The church is called The Shrine of Our Lady of Mercy and I visited this place three times; the first was when a mass was held in one of the chapels in the International Chapels located further down the compound. I was invited by some friends. 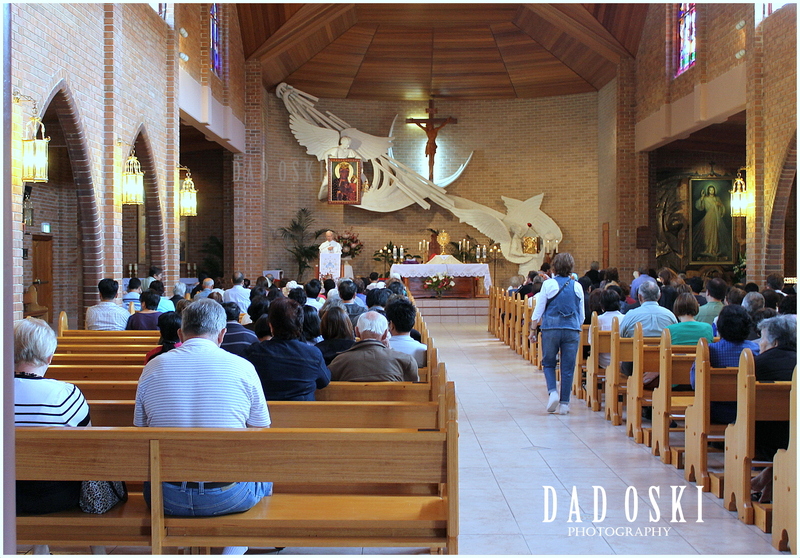 The last one was during the 10th Coronation of the icon of the Our Lady of Mercy, November 2011, and because of many people who attended the event, the mass was held outside the church. Mass held outside the church. 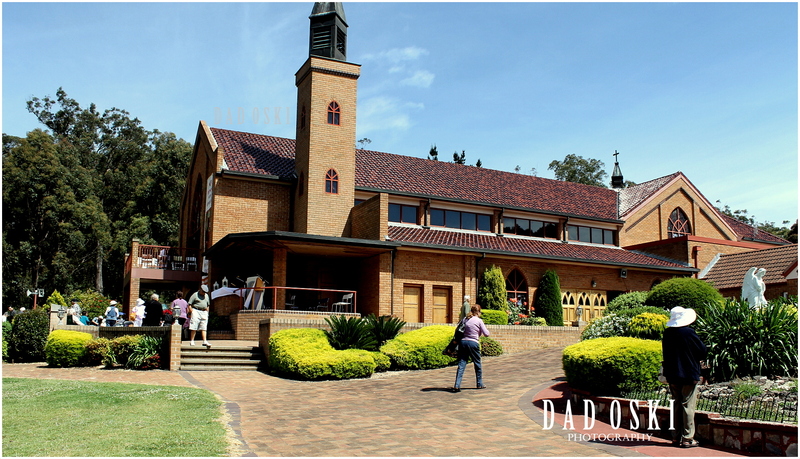 Here is a brief history of the church how it became a pilgrimage site and well known to the Catholic communities in Australia. This is taken from the website of the Pauline Fathers that runs the church. I preferred to quote it entirely here so that you’ll feel better the impact and understand it from the time it was conceived and made into such a famous and a serene place of worship. When he first set foot in Australia in April 1981, Father Augustine Lazur had a mission – to extend the influence of Our Lady of Jasna Gora to yet another country. 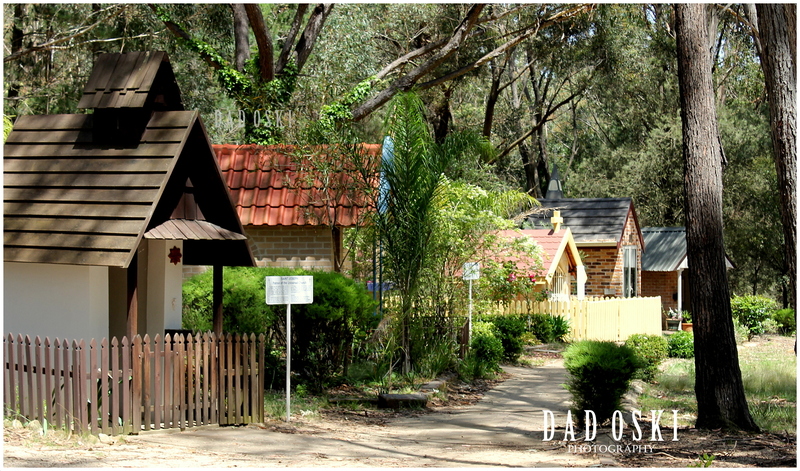 After many interesting adventures, which are recounted in a book available from the Penrose Park bookstall, Father was led to the Southern Highlands of New South Wales and in 1984, with a great deal of faith and the help of countless benefactors, purchased the property now known as Penrose Park. It is a story that stirs the imagination, but those early days of the Order in Australia saw many miracles of faith, miracles which have continued through to the present day. 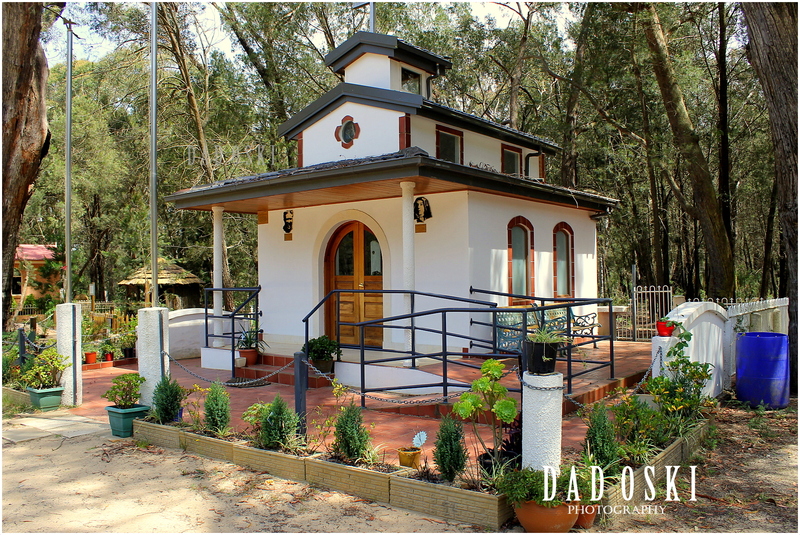 Just ten years after Father Augustine arrived in Australia, the Pauline Fathers first moved into the newly-built Monastery and in 1995 a start was made upon further extensions, the Pauline Fathers moving into their improved quarters, and their lovely private chapel, during that year. Thanks to the wonderful response of the pilgrims who come here in large numbers, especially for the Fatima Day celebrations on the 13th day of each month, work progressed on the beautiful new church, from mid-1994 until the present, when we can see the fulfilment of all our dreams. May 24th 1997 was a great day of celebration, with the consecration of the new church and monastery, work continued to make the Church and the grounds of Penrose Park even more beautiful. With the blessing of Our Lady of Mercy, as She is known in Australia and the support of thousands of faithful pilgrims we have already witnessed many miracles here. Following the Consecration of the Church due to the popularity of the Shrine special events have been held here. One of the most important events was on 25 June 2000, Feast of Corpus Christi, the Final Celebration of the Diocese of Wollongong’s Eucharistic Congress which culminated in a Solemn Mass and Procession. The principal celebrant was His Excellency Archbishop Francesco Canalini DD, Apostolic Nuncio to Australia who was joined by Most Rev. Philip Wilson DD JCL, Bishop of Wollongong; Most Rev. Barry J Hickey DD OAM, Archbishop of Perth; the Community of the Pauline Fathers and other visiting Bishops and Clergy. Approx. 70,000 pilgrims visit our Shrine annually and in keeping with the tradition of the Church, and the generosity of the pilgrims, we were able to crown our Icon. This was the first time a Holy Image was crowned in Australia. The crowns were blessed by Blessed Pope John Paul II, in Rome on 23 May 2001. 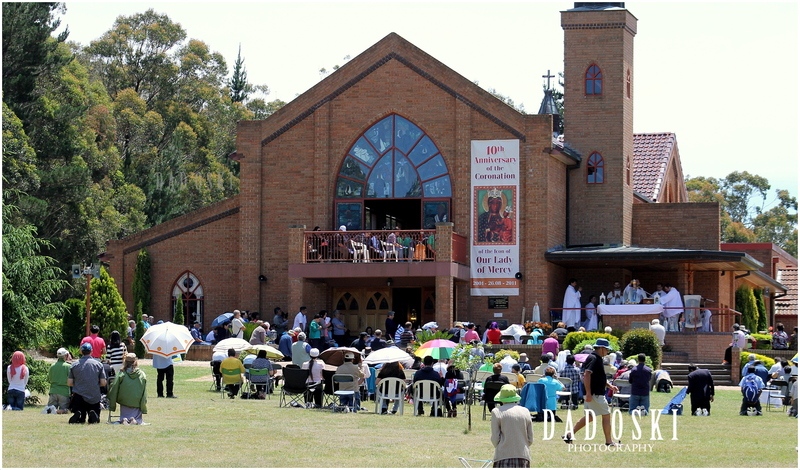 The crowning ceremony took place in the Shrine Church on 26 August 2001 during the Solemn Mass with the main celebrant being His Excellency Archbishop Francesco Canalini DD, with the assistance of His Lordship Peter Ingham, DD Bishop of Wollongong. Also present were Most Rev Bishop William Murray and representatives of the Federal, State and Foreign governments as well as other priests and religious. The Grotto, mass is sometimes held up here. 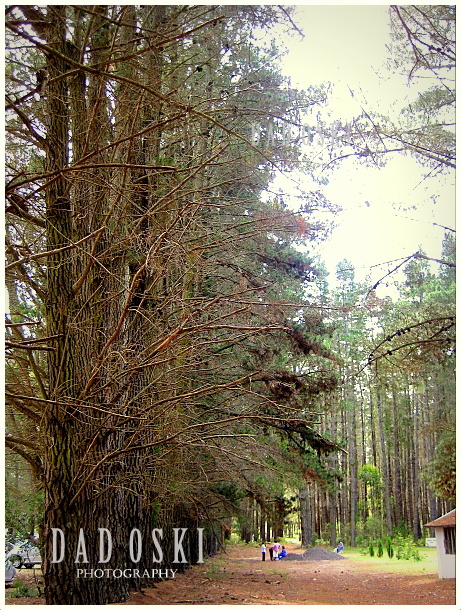 In 2010 we decided to purchase the property adjacent to our Shrine. The property consists of 2 houses situated on approx. 50 acres of land. This has enabled us to move our Religious Shop and increase the stock into one of the houses. It has also provided a temporary retreat accommodation for very small groups. In 2011 we began renovation of the building known as the Old Monastery, which was the place of residence for the first priests before the construction of the Church and Monastery as is today. The renovations should be completed by the end of 2011. The building will be a reminder of the life of the first Pauline Monks in Australia and the Chapel will be able to be used by small groups of pilgrims for special occasions. 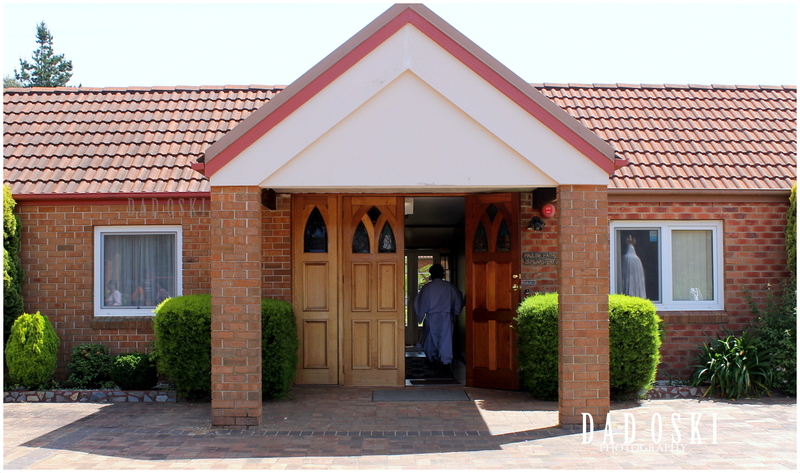 Not far from the church is the location of many chapels built by Catholic devout people who came from many countries around the world and who are now citizens in Australia. There are about 41 chapels erected in the Penrose Park and are maintained by the groups who constructed them. There is also a Grotto at the foot of a hill where masses outside the church are sometimes held. 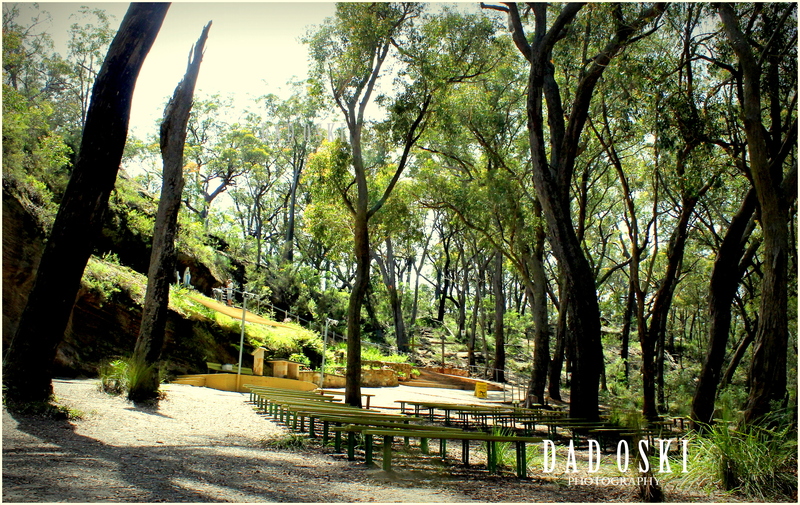 The Penrose Park was purchased in 1984, and with the support and financial assistance of dedicated group of pilgrims, as well as the first Pauline Fathers who came to Australia, the dream of having these chapels here became a reality.